The A4 Series automotive relay features low coil power consumption with switching current up to 20A with a dual relay option available. Contact arrangement options are 1A, 1C, 1U, 1W, 2A, 2C, 2U or 2W. Coil power is 1.0W and coil voltage is 12VDC or 24VDC. 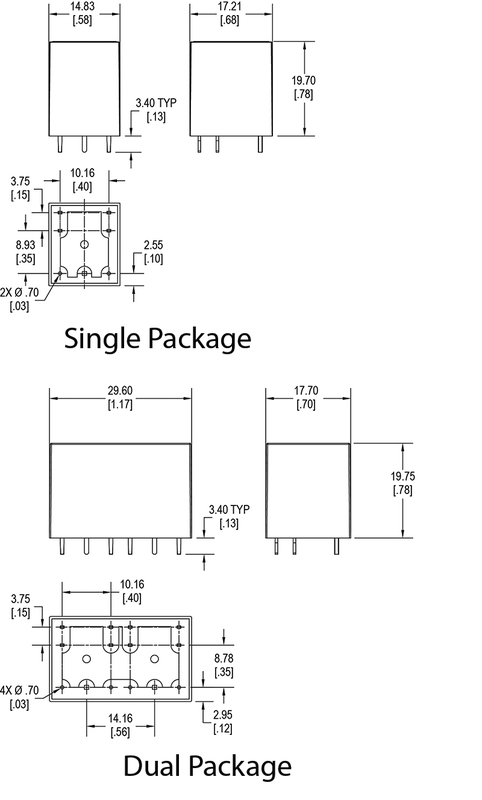 Dimensions are 16.9 x 14.2 (29.7) x 19.5mm. 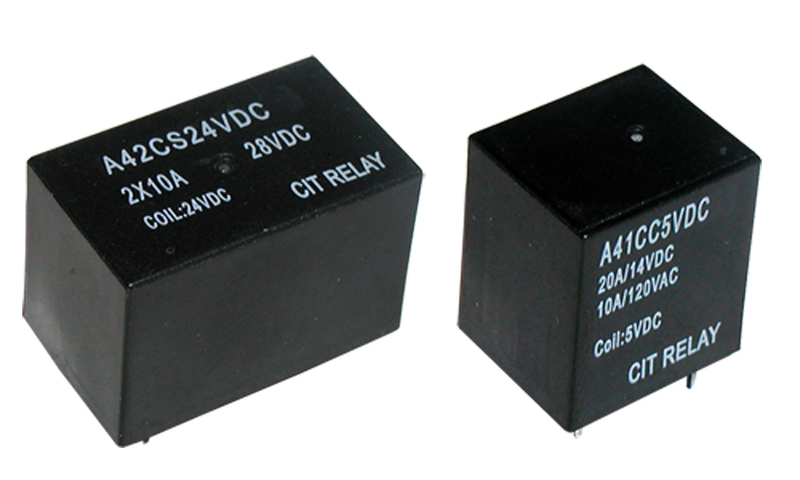 The A4 Series auto electrical relays are suitable for household appliances and automotive applications.